The trick is to skip repository pattern. It’s not useful when you consider Web Api and how it’s constructed. And honestly, I can’t fathom why anyone would be creating new mvc.net applications and not going to Web API for data, and Durandal + Knockout or Angular with Typescript and doing everything client side and just using the server side for routing and some basic security functions. I use NHibernate, and haven’t moved onto Entity Framework mostly out of laziness, I think; it works fine for what I need it to do, and I’m used to it. Based on what I’ve read, if I actually moved to EF, it would be about the same. In my workflow, a few copy-and-pasted XML files, and all of the CRUD stuff is taken care of for me, which saves a lot of time, and what and how it is persisted is clearly defined. As for schema changes, that’s not fancy, either — I have a console application with a bunch of SQL scripts embedded as resources, numbered things like “128-AddAgeColumnToCheesesTable.sql”, and it just loops through them all. The scripts are coded so that they insert a record into a DatabasePatches table when they’re done, and they don’t run themselves if the corresponding patches record already exists. That way I can explicitly control when a schema update is going to happen. And while there are frameworks that can sort of express this in code, I find it easier just to write the SQL and be done with it. I’m not sure if this is the best way to do things, but it’s the way I settled into, and I’m very productive with it. We have used Dapper.NET (from one of the StackOverflow guys) very successfully. I am not that great a fan of ORM frameworks like NHibernate or EF because they are very very “heavy”. Dapper adds some ORM bits bit is almost as lightweight is straight DataReaders and DataWriters. It is well worth checking out. I’ve been bitten by ORMs too many times. For me the main problem is that you create a maintenance nightmare down the road. For example, let’s say you’ve used EF2 for a large application. Now you bring in a new person to work on that code. Which means that the new guy needs to learn a huge old framework that doesn’t do him any good in his future career. How motivating is that? I hate boilerplate code as much as anyone. But to rely on magic that changes every other year is dangerous for a longlived product. Putting aside the question of EF’s technical desirability, it appears to be doing well today as a requested job-skill. Provided that it works based on models, it gave us flexibility to generate classes in objective-c when we started to code for iOS. Of course it’s another tool to maintain but it’s worth it. For my projects, I ran into CodeFluent Entities. This a great alternative to Entity Framework. It generates a lot of stuff (Code, database scripts, UI components) based on a model. 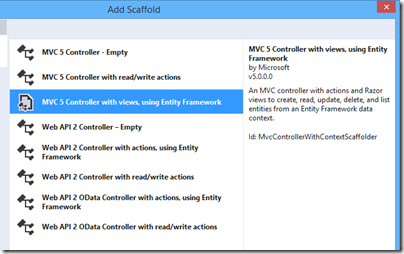 This Model-Driven tool is integrated into Visual Studio just like Entity Framework. You should try it. EF also has burned me in the passed, so I’m hesitant to use it know. I’ve heard it is much more mature, but still, I haven’t soon forgot. Anyways, there are lots of great alternatives out there… Maybe its time to check these out. 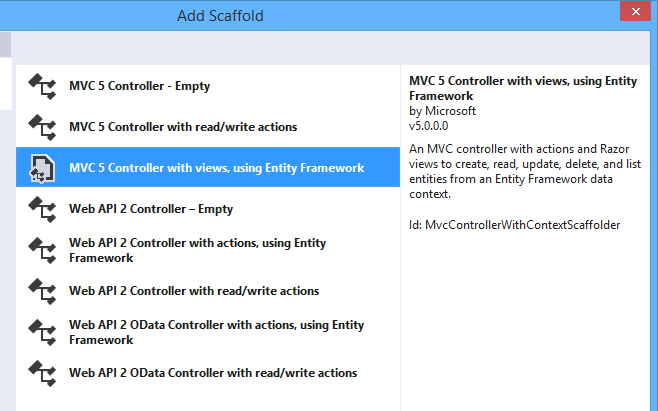 My biggest problem with Entity Framework is that it tries to do too much. It’s a great idea to have simple classes that can handle CRUD, but when you start using LINQ, forget about performance. It’s just terrible. Nothing can automatically generate complex queries that perform as well as a handwritten query. Inserting and updating large volumes of data is also VERY slow. I had a process that would take 2.5 hours to run. It would take about 10 minutes to read in the data it needed to do a conversion on and then the other 2 hours and 20 minutes to update the database. Just by putting all of those updates into a single SQL statement, I was able to reduce the write part to less than 30 seconds. It also handles inheritance poorly. If you use Code First and have a Parent and Child class that gets written to the DB, it will create a Parent table that also includes the columns from the Child class and just add a column called Discriminator that identifies what the row of data represents. EF seems like it was created to show off the kind of wizardry you can pull of using reflection rather than something that can be used to develop well-performing, easy to read, and easy to understand applications. I’m not saying that it shouldn’t be used. I’m just saying that you should use it sparingly. When you’re just reading and writing a handful of records, use it. It’s convenient. Migrations are a cool feature once you get the hang of it. When doing large, complex queries or updating large volumes of data, don’t use it. The Database property of a DbContext does have some great methods such as SqlQuery and ExecuteNotQuery, that allow you to use a hybrid approach that will save you in the long run. Yes, I came to similar conclusions. Fine for simple applications and small databases. Not so good at scale or for more intricate database schemas.